Chef Eduardo Garcia went for a hike in the beautiful backcountry of Montana. Literally shocked when he touched a dead bear with his knife, he survived the 2400V jolt and walked out alive. 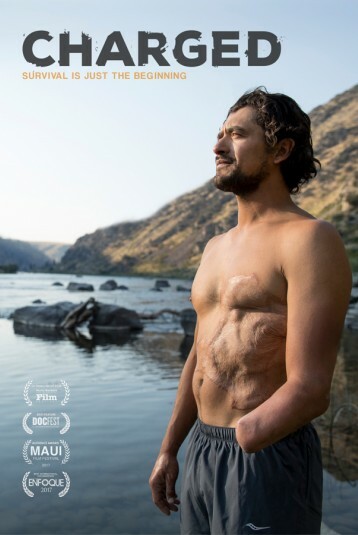 Nearly two dozen surgeries take his left hand, four ribs, and significant muscle mass from his torso, legs, arms, and scalp. Despite all his loss, Eduardo says he would never go back. Charged tells Eduardo's journey from getting up off the forest floor to becoming the man he is today.